Young Hacks Academy, a new computer programming camp for kids, wrapped up its first summer sessions last week at Colchester High School. The day camp offerred two week-long programs in July that attracted 58 kids, ages 10-12, representing 17 Vermont schools. The goal? To show campers how fun it can be to create using computers, rather than just consume what others have already created. “The whole idea came from how our kids have so much," said Tom Bacon, Young Hacks director and founder of Colchester School District's advocacy group, Support Our Schools. "They’re consumers of technology but they don’t have the technical literacy to become producers and creators. What’s really important is for some of these kids to be like ‘oh, a computer isn’t smart, it’s just a machine, we’re the one’s who make it intelligent’. You kind of flip that switch where they’re like, ‘Cool! I’m the one who’s going to make the games my buddies are playing.’"
Not only did these Young Hacks learn the basics of computer programming, they spent the entire week solving daily missions and riddles, building labyrinths outdoors and listening to guest speakers from COTS, Efficiency VT, Lake Champlain Basin Program and Ben and Jerry’s Global Supply Chain. Former Governor Jim Douglas also dropped by for a visit. The kids, aka: Young Hacks Agents, each received a badge for the week with their name and photo. They also carried "agent notebooks" to keep a running log of the week's activities and their ideas. Bacon did not work alone on designing the Young Hacks Agent theme. He joined forces with two educators, Katherine Grykien, Champlain Elementary, and Nick Mack, H.O. Wheeler, along with a soon-to-be educator, a junior at Middlebury College. The camp ended on July 19 with presentations in the Colchester High School library. 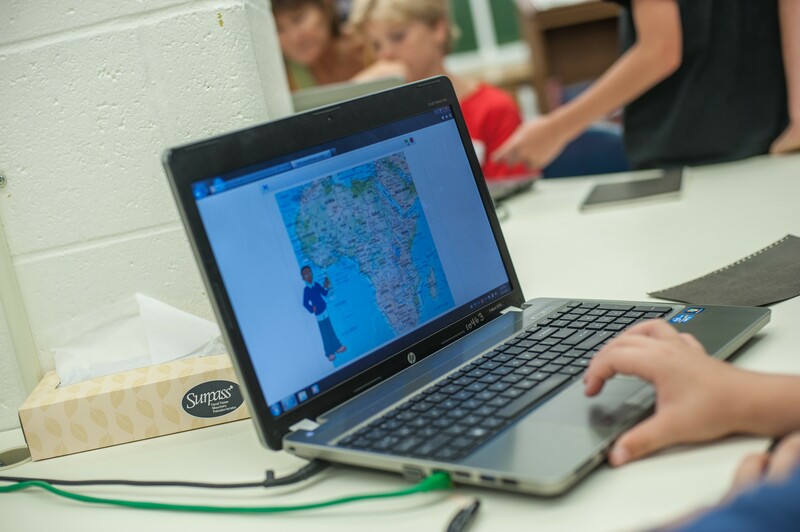 During three, 12-minute sessions, parents crowded around kids and their laptops, while each presented an interactive game created using Scratch, a kid-friendly “drag and drop” programming software.